Very realistic Full Size Halloween Prop. This is a free standing 5' tall witch. The robe & everything seen in the picture comes with it. 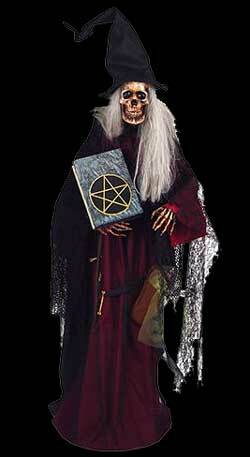 This is a highly detailed piece and would be perfect for any Halloween event. Some minor assembly required.